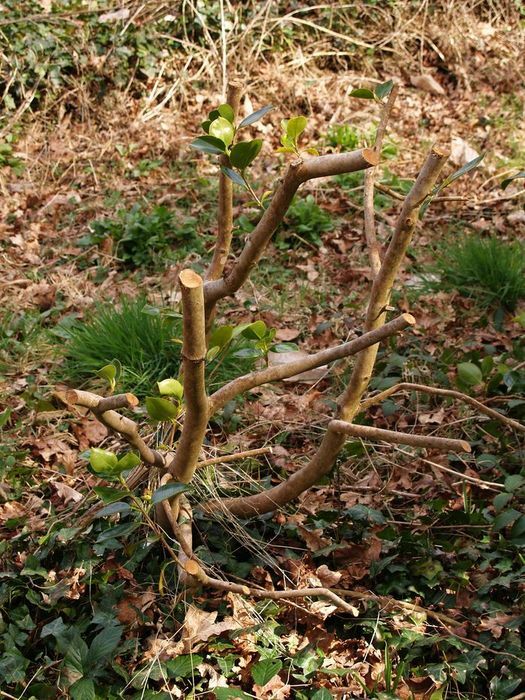 Prune your camellias once they have finished flowering but before the new growth starts to emerge. 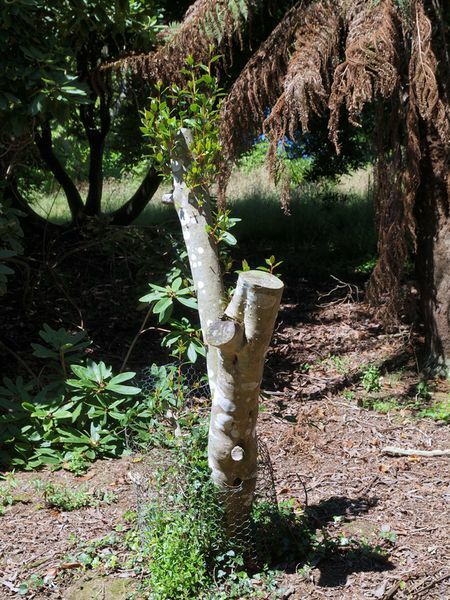 Camellias which are very old or which are starting to get in the way on paths can readily be pruned back as hard as you like with no ill effect. 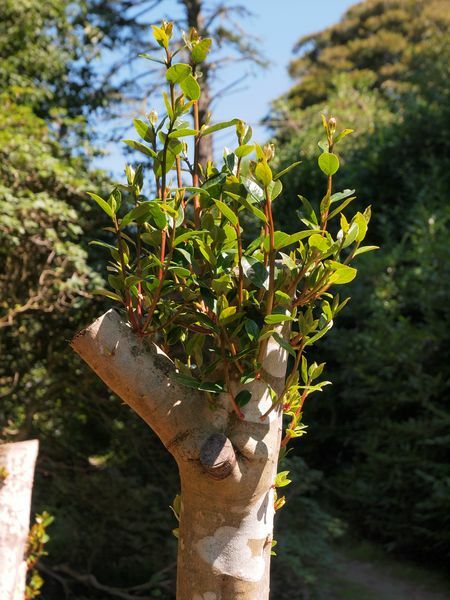 You can even cut off all the greenery and turn them back into a ‘hat stand’ without any worries about them reshooting vigorously from the main woody stems. After pruning a mulch of leaf mould or well rotted manure will encourage speedy regrowth. We have a more details on how to care for your camellias throughout the year if you are interested in reading more.